Mastic Asphalt is without question the toughest and most durable waterproof membrane available worldwide. It offers market leading longevity of more than 50 years in some cases. Because of its inherent strength and durability, it has been used on many high-profile projects throughout the UK particularly in design situations where sustained traffic is likely. The material easily outperforms all other types of waterproof membrane which is why it is extensively used on bridges, car parks and now on highways by Sharp Asphalt. Installation of mastic asphalt can only be best laid by traditional time-served craftsmen. Within a couple of hours of it being laid, it will be ready to be trafficked by all vehicles. Mastic Asphalt is so durable over long periods that it is considered by construction professionals to have little or minimal impact on the environment. At the end of its useful life, mastic asphalt is 100% recyclable and has carbon zero status. Mastic asphalt can be supplied hot, ready to lay, or in block form for re-melting on site, no material is wasted. Sharp Asphalt cover the whole of the UK and oversees work if necessary. Traditionally Mastic Asphalt is black in Appearance however by adding a coloured pigment you can let your creativity run wild by choosing the colour of your choice. Quite simply, Mastic Asphalt is the most durable and long lasting waterproof repair material on the market. Backed by the 40 years practical experience we bring we have created a repair system that will provide you with a permanent repair solution. Why use Mastic Asphalt as a Pothole / Patching and Jointing Material? Quite simply Mastic Asphalt is the most durable and long lasting waterproof repair material on the market. Backed by the 40 years practical experience we bring we have created a repair system that will provide you with a permanent repair solution. Over 100,000 drainage gullies and public utility ironworks have been successfully reinstated with Pacopatch. Pacopatch is a revolutionary polymer based bituminous reinstatement system developed specifically for the single reinstatement of manholes and gullies. Pacopatch comes with a 5 year warranty, is voidless, requires no compaction and can be trafficked within an hour of completion. Pacopatch has been laid 0.5 metre deep and been trafficked the same day. The revolutionary system comprises a hot applied asphalt grout into which factory prepared cold asphalt bricks. 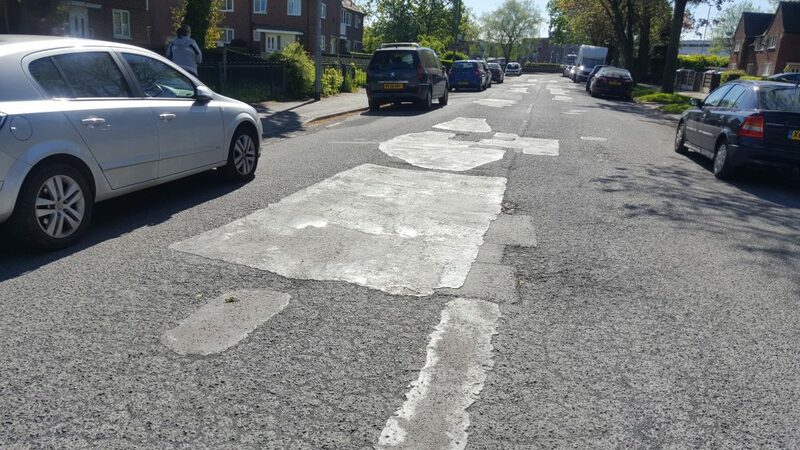 As a result of budget constraints Local Authorities are having to contend with an every increasing number that have pot-holes have developed in the UK which are both dangerous and costly (insurance claims, etc). Authorities are continuing to spend a large part of their highways budget in making repairs to these ‘pot-holes’ using conventional, but ineffective asphalt patching techniques. WHAT SOLUTIONS can you offer? 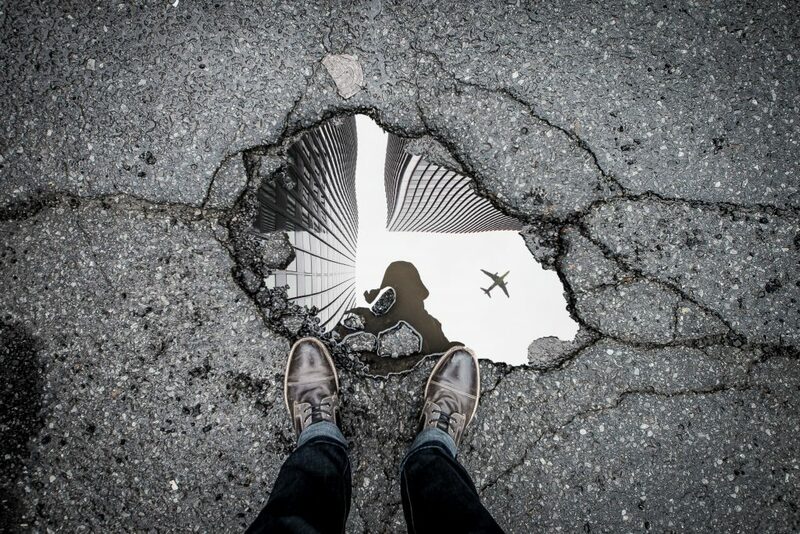 Repairs are carried out with the use of a material which is bitumen-rich and fully seals the asphalt aggregate to the base of the pot-hole and to the surrounding existing road materials. No MECHANICAL BREAKING OUT is needed with our system. A second layer of mastic asphalt is then laid into the prepared area and trowelled flat. The product cools very quickly and whilst still curing a layer of pre coated aggregate chippings is added. Independent tests that we have had carried ensure that we exceed minimum skid resistance levels. What are the advantages of using mastic asphalt? A growing list of satisfied customers (mainly local authorities). Mastic asphalt is the premier bituminous waterproofing and surfacing product available. Unlike a traditional tarmacadam surface, which could last 5-10 years, mastic asphalt has the ability to last up to 60 years. The polymers used in mastic asphalt improve elasticity in both hot and cold weather conditions, which help to maintain its structural integrity and durability. Mastic asphalt is unaffected by water and provides a proven seamless waterproofing and tanking material that is second to none. Because it outlasts all other bituminous materials mastic asphalt doesn’t need replacing as often, thus delaying on its replacement for many years. What are the health and safety benefits? Unlike brick and block paving, mastic asphalt is laid in a continuous film without the need for joints, which means that accidents such as slips, trips and falls are reduced. Mastic asphalt provides a safe non-slip surface for pedestrians and non-skid carriageway for vehicles. How is Mastic Asphalt cleaned? Mastic asphalt can also be made fuel and acid resistant and can be cleaned with pressure water jets without detriment to the surface, unlike other bituminous surfacing materials, which can be very susceptible to water damage. Mastic asphalt is a potentially 100% recyclable product and is classified as non-toxic. Mastic asphalt in its molten state can be moulded to any irregular shape and be laid around any obstruction in-situ. How quick are projects to complete? 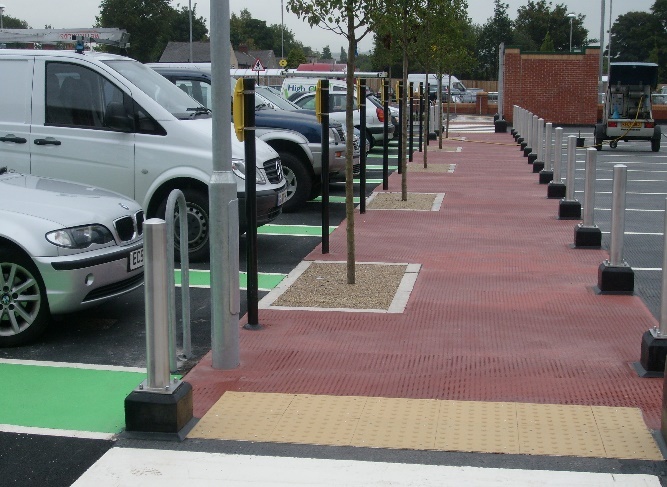 Mastic asphalt can be laid quickly over large areas when supplied by hot charge deliveries. (The Tyne Tunnel 12000 m2 was completed over three weekend closures). Smaller contracts can be supplied in block form for remelting the required quantity on-site, whilst larger contracts can be supplied via a fleet of heated and stirred hot charge transporters. Can it be used in domestic and commercial settings? As well as a proven damp-proof membrane, mastic asphalt applied to domestic floors provides the ideal base for carpet, vinyl or other types of smooth flooring. Its speed of application and fast cooling properties allow carpets and furnishings to be replaced within hours. Many European countries are renovating their old blocks of flats and are installing sound proofing to their floors overlaid with a new mastic asphalt flooring layer. There are no moisture considerations, curing or drying out times with mastic asphalt floors. Can asphalt be designed in other colours? To the architect or project manager, mastic asphalt offers limitless scope for design opportunities. It can be specified in almost any colour, texture and design and is an ideal choice where general aesthetics have to be combined with long-lasting waterproofing or paving. Mastic asphalt now brings a whole new palette of possibilities to road construction and architectural design. The new coloured mastic asphalt, produced with Shell Bitumen’s clear pigmentable binder, Shell Mexphalte C, allows you to create imaginatively coloured surfaces. Is coloured asphalt easy to work with? The proven properties of mastic asphalt for flooring and pavements make it the winning choice indoors and out. Waterproof and seamless, it’s durable enough for heavy industrial use and resistant to dust, cracks and weed growth. DO You use Shell Mexphalte C? Shell Mexphalte C, with just small amounts of pigment added, puts a huge array of colours and shades at your fingertips, to match your most creative ideas. With all the established benefits of conventional asphalt, Shell Mexphalte C offers limitless design freedom to architects, landscape designers, civil engineers and town planners. With coloured mastic asphalt, produced with Shell Mexphalte C, you can highlight areas with bold colours or blend them harmoniously into any environment. Enhance entrances to historic and heritage sites. IS COLOURED ASPHALT SAFER FOR ROADS? Coloured mastic asphalt promotes new standards of safety around critical places like schools and pedestrian areas. 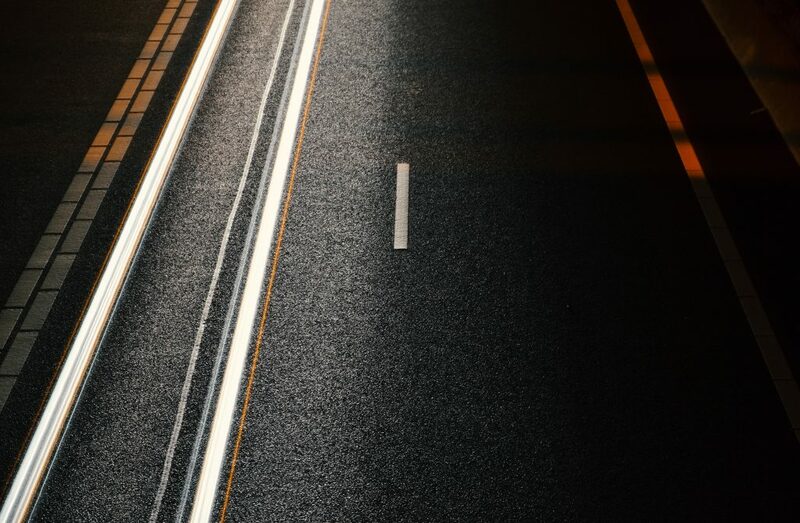 By adding white pigments and light coloured minerals, really bright asphalt surfaces can be created to improve visibility in tunnels and underpasses, which can make driving safer and reduce the amount of interior lighting required. Mastic asphalt is easily installed by skilled tradesmen and, no heavy equipment is used, you can lay it almost anywhere. Just a few hours later, the surface is ready to use, unlike other materials and processes. Mastic asphalt can be supplied hot, ready to lay, or in block form for re-melting on site, so there are no problems with timing or distance for any project. It has inherent sustainability too, and can be removed and recycled as necessary. “Latest way we’ve tried using Mastic Asphalt is for mini roundabouts – we’ve found thermosplastic is wearing off within twelve months so we’ve tried with a buff coloured asphalt with added lighter pigments to make it as white then adding Ballotini to give reflectivity – still experimental his third is being done next week we expect this next one to be as good as we’re going to get it and should last a long, long time." Sharp-Asphalt was established 10 years ago by Company Director & Founder Garry Sharp, who along with some of his team have been in the Mastic Asphalt industry for 40 years.